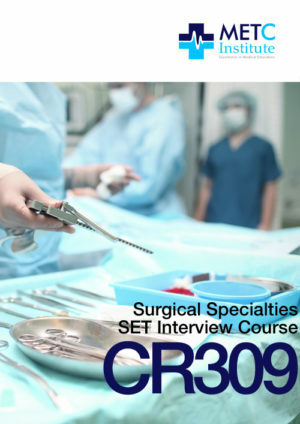 The SET Surgical Specialties Interview Course (CR309) is a workshop which prepares candidates for the Surgical Education and Training admissions (SET) interview through the development of fundamental communication and presentation skills. The CR309 workshop is structured to prepare candidates for a RACS Surgical Specialty. The SET Surgical Specialties Interview Workshop is prepared and conducted by practicing surgeons providing candidates with an opportunity to gain a unique insight into the SET selection interview, and to practice their interview skills in a realistic environment. On completion of the course, candidates are in an advantageous position to gain entry into SET for the surgical specialty of their choice. Furthermore, candidates completing the course develop communication and presentation skills that will assist them in their practice of medicine and surgery.